KIEV, Ukraine -- The Ukrainian government said it wants to allay European concerns over natural gas supplies by serving as a regional energy hub. Conclusions reached during a roundtable discussion in Brussels last week said Kiev deserves to be lauded for its diversification and gas transit modernization efforts. Nevertheless, a BP-led group working offshore Azerbaijan is expected in June to pick from two competing natural gas pipeline projects that are designed to add diversity to a European market that's dependent on Russia's Gazprom by avoiding Ukrainian territory. While Ukraine has tried to move closer to the European Union, recent developments involving the former Soviet republic show it's truly at a crossroads. The BP-led consortium working offshore Azerbaijan said last week it started the evaluation process for the Nabucco West and the Trans Adriatic Pipeline systems. Both are included as part of the Southern Gas Corridor, a series of transit projects meant to add diversity to the European energy sector. Natural gas price disputes in 2009 between Russia and Ukraine left European consumers vulnerable because much of the gas sent to Europe by Gazprom runs through the Soviet-era pipeline system in Ukraine. Nabucco announced Monday it started the open-season process and a BP decision is expected by June. Roundtable discussions on Ukraine's energy sector concluded last week in Brussels. The Ukrainian government in April said it wanted to revamp state energy company Naftogaz so it could possibly sell some of its pipelines to Gazprom. 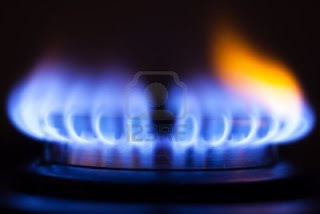 Ukrainian Energy Minister Eduard Stavitsky said the EU may have a say as well in order to address what he said was the sensitive geopolitical situation regarding natural gas. Last year, the Ukrainian government started moving some of its pipelines in the opposite direction so more natural gas comes from EU members and, in January, Shell signed a $10 billion deal to help Ukraine tap into what could be significant deposits of shale natural gas. Delegates at the Brussels roundtable said progress was made by Ukraine in terms of energy security by modernizing its gas transit system and adding diversity. Integration into the broader European gas market depends on Ukraine's ability to develop an effective long-term market strategy, the EU said. Broader integration extends to Ukraine's political system, however. The Ukrainian government of President Viktor Yanukovych threw arch-rival Tymoshenko in jail for her role in brokering a 2009 deal with Gazprom, the very deal that helped get natural gas flowing again to European consumers. Tymoshenko couldn't take part in elections last year that observers said weren't very democratic and, in April, the European Court of Human Rights said Tymoshenko's rights were violated by the government. Neither of the projects under consideration by BP would run through Ukrainian territory. For its part, Gazprom is considering adding a third line to its Nord Stream pipeline already running through the Baltic Sea to Germany. It also wants to build South Stream, billed as an alternative to the projects in the Southern Gas Corridor. None of those goes through Ukraine either. The EU said it recognized that Ukraine wants to develop as a transit country and serve as an energy hub in its own right. Europe added there are a series of political concerns stemming from the Tymoshenko case to address before it fully embraces Kiev. Russia, meanwhile, wants Ukraine to joint its customs union of former Soviet republics. All parties have a stake to play in the issue. With energy ties spanning the border of the former western front of the Soviet Union, it's no wonder that both parties to the Brussels roundtable "recognized that Ukraine is at a crossroads."